Join Renee Watson, Linda Christensen, Andrew Kulak, and students from Jefferson High School (Watson’s alma mater) on Teachers Teaching Teachers on Wednesday, February 25, 2015 at 9:00 pm EST. 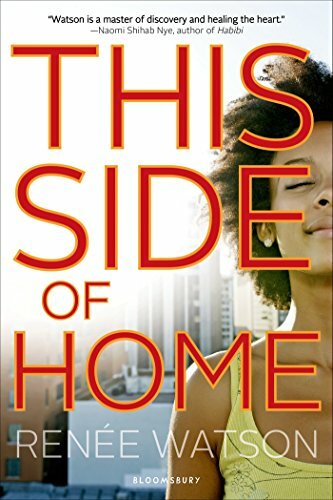 The conversation will discuss Watson’s debut YA novel, This Side of Home, which was published by Bloomsbury in February, 2015. Watson dedicates her novel to Linda Christensen, “my teacher, mentor and friend.” Christensen, in turn, writes about the “wonderful novel by a Jefferson (HS) graduate… about the gentrification of Albina” that is now an “anchor text” in a gentrification curriculum that Christensen has developed over the last two years with students and, more recently, Katharine Johnson, co-director of the Oregon Writing Project. This work has come out of their work with teachers who attended the four-week OWP Writing Institute during the summer of 2014. Watson and Christensen will be joined on Wednesday, February 25th on Teachers Teaching Teachers by Andrew Kulak, who teaches high school students and uses This Side of Home in his classroom. His students have explored a curriculum around gentrification as part of their Senior Inquiry. Some of Kulak’s students will join the webcast, as well. What an exciting hour this will be! Please join us on Wednesday, February 25, 2015 at 9pm EST on Teachers Teaching Teachers at http://edtechtalk.com/ttt. ← previous Registration Now Open for the 2015 Teacher to Teacher Conference!